Success! 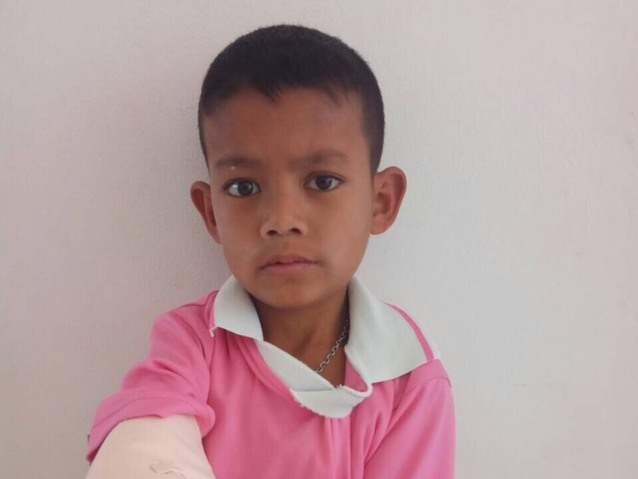 Ko from Thailand raised $1,500 to fund fracture repair surgery. Ko's treatment was fully funded on April 2, 2018. Ko underwent fracture repair surgery. Ko’s arm is healing well, and the cast has been removed. His arm was put into a sling, and he has been given different exercises for stretching and strengthening his arm and regaining full mobility. “He is looking forward to going home to his family and attending school again, where he can play with his classmates,” said Ko’s teacher. Ko is a young student from Thailand. He lives with his parents in Phop Phra, Tak Province. He likes to play football during his free time. On February 6, Ko and his classmates went to a farm to pick chilis. On the way back to school, the students were all crowded into the back of a pickup truck. When they arrived at the school, all the students scrambled to jump out of the truck. In the chaos, someone stepped on the back of Ko’s shirt, causing him to lose his balance and fall out of the truck onto his right arm, fracturing it. Currently, Ko is in pain. His arm has temporarily been put into a splint. With the help of our medical partner, Burma Children Medical Fund, Ko will undergo surgery to reset his fractured bones and ensure proper healing. The procedure is scheduled for February 6 and will cost $1,500. The surgery will help Ko recover from pain so that he can return to school. 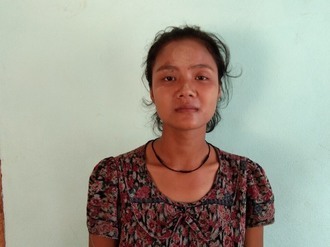 Ko's case was submitted by Bue Wah Say at Burma Children Medical Fund in Thailand. Ko was submitted by Bue Wah Say, Project Officer at Burma Children Medical Fund, our medical partner in Thailand.